18 x 24 Hand Roller [1-CCRE1706] - $730.00 : Signature Tennis, Your source for Country Club quality products and services for all your tennis court needs. Perfect for the club that needs touch-up work around court edges, patching low spotes, etc. The drum size is 18" x 24" and can be filled with water for a total weight of 320 lbs. The unit is all steel and comes with a scraper bar for removing any build-up on the drum. 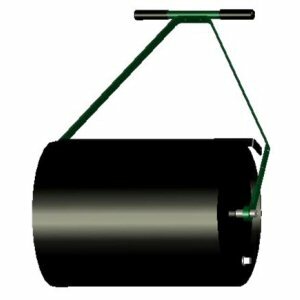 This roller is a good comparison for your heavy duty court roller. 1 year warranty.